The second major event at Computex Taipei 2017 was the Intel Computex 2017 keynote. Ostensibly it was about IOT, but Gregory Bryant, delivered far more than that in his keynote presentation. 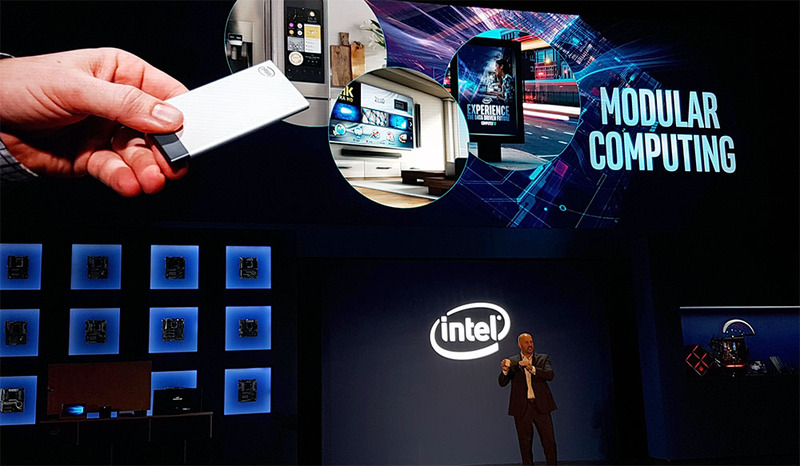 It was a smorgasbord of new Intel products from the Intel Compute Card to the new Intel X-Series and Intel Core i9 processors. The Intel Compute Card, X-Series & Core i9 CPUs & More! 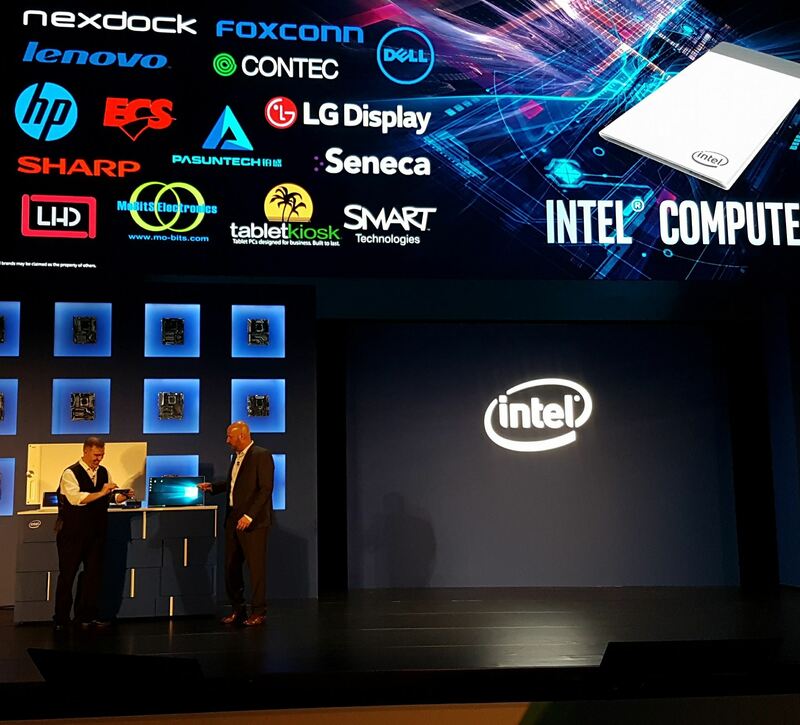 For almost an hour, Gregory Bryant, VP & GM of the Intel Client Computing Group, paraded the latest products from Intel. He started with new server products like the Intel Xeon Platinum processors and low-power SSDs, before demonstrating the power of an IOT-enabled City Kiosk prototype. 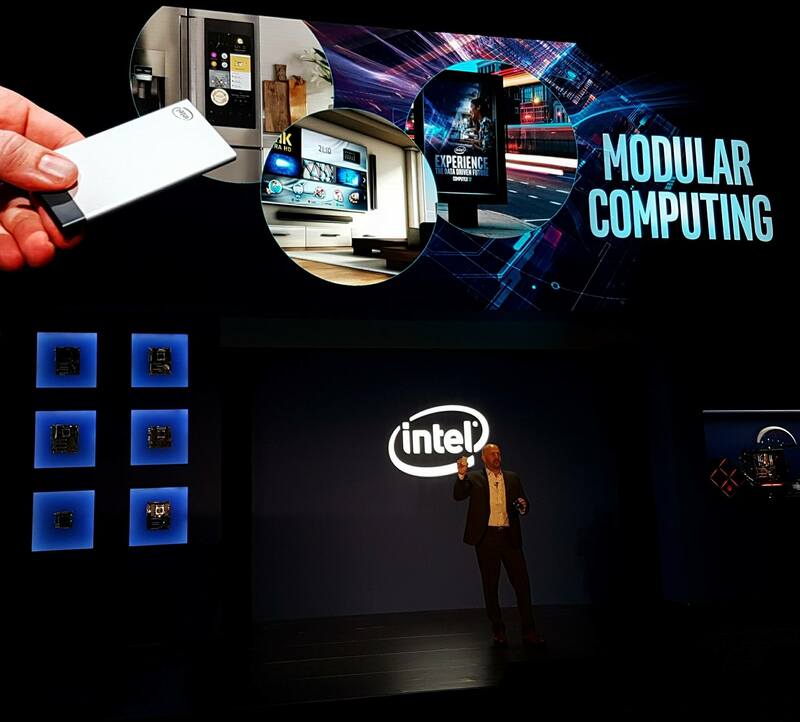 Then he showed off the Intel Compute Card, that Intel believes will drive the future of modular computing. 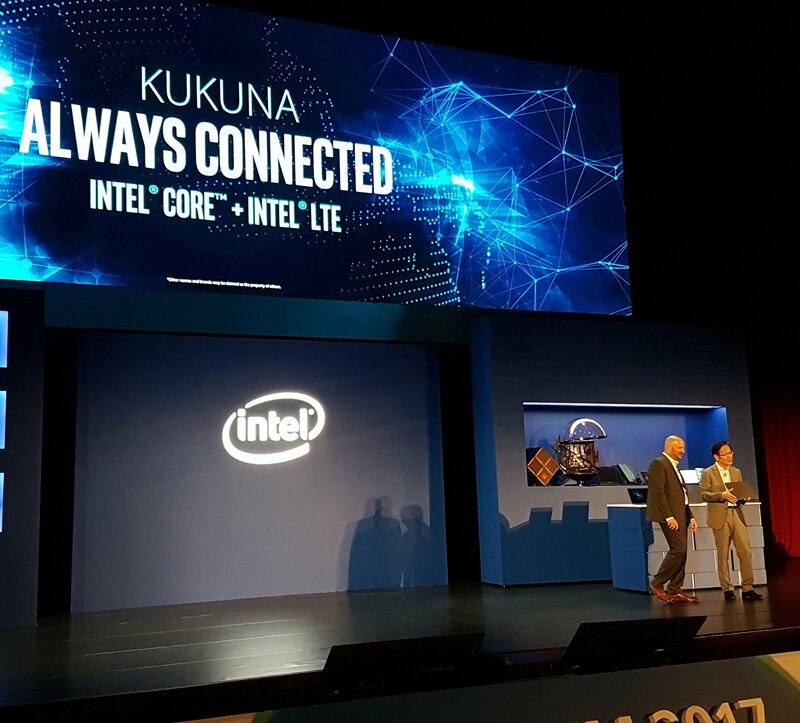 ASUS Chairman Jonney Shih even came on stage to show off their secret ASUS Kukuna prototype which boasts the Intel LTE “Always Connected” technology. There was also a demo of the Intel Optane Memory. Finally, Gregory announced the Intel X-Series processors, as well as the Intel Core i9 processors. He also revealed that the upcoming 8th Generation Intel Core processors will deliver more than 30% better performance than the 7th Generation Intel Core processors. 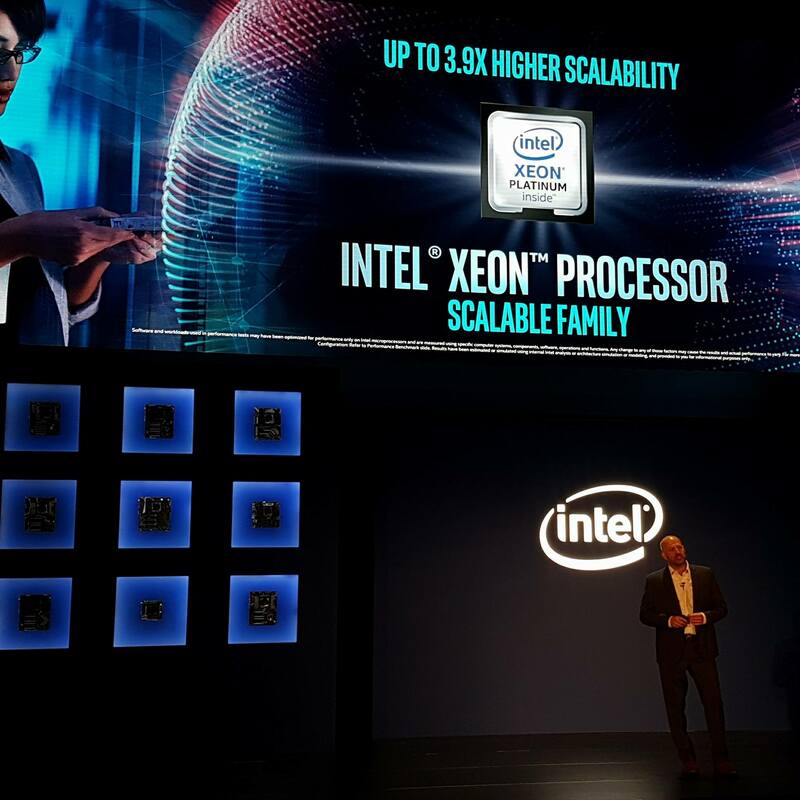 Gregory Bryant from Intel announces the Intel Xeon Platinum family of scalable server processors. 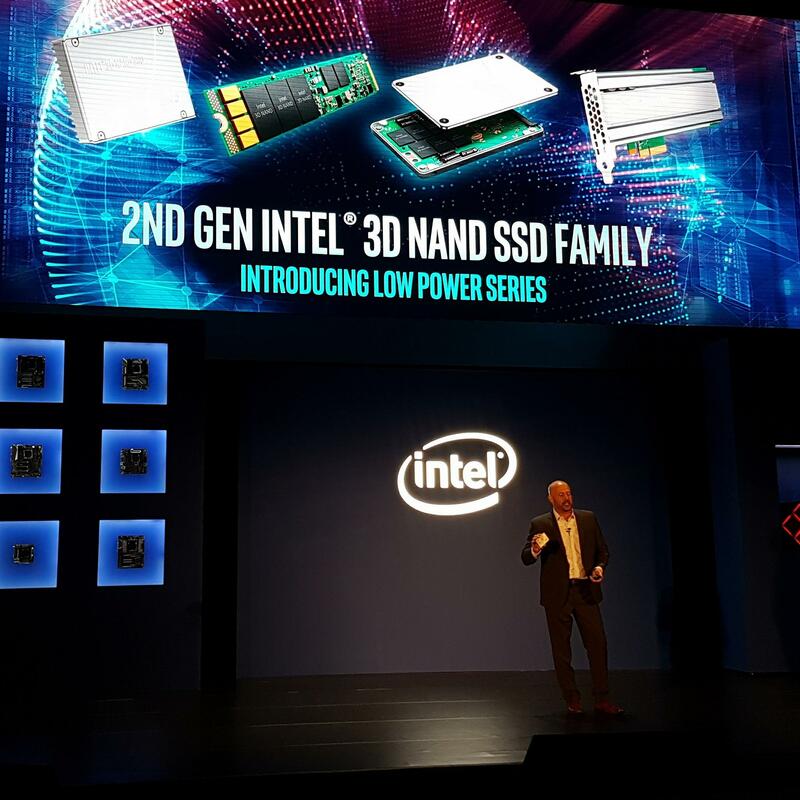 Intel also announced the Low Power Series of their 2nd Gen 3D NAND SSD drives. Introducing the Intel Compute Card! The Intel Compute Card is a modular computer that will fit into a variety of devices. You can pull it out of one device and slot it into another. ASUS Chairman Jonney Shih shows off their secret project Kukuna. 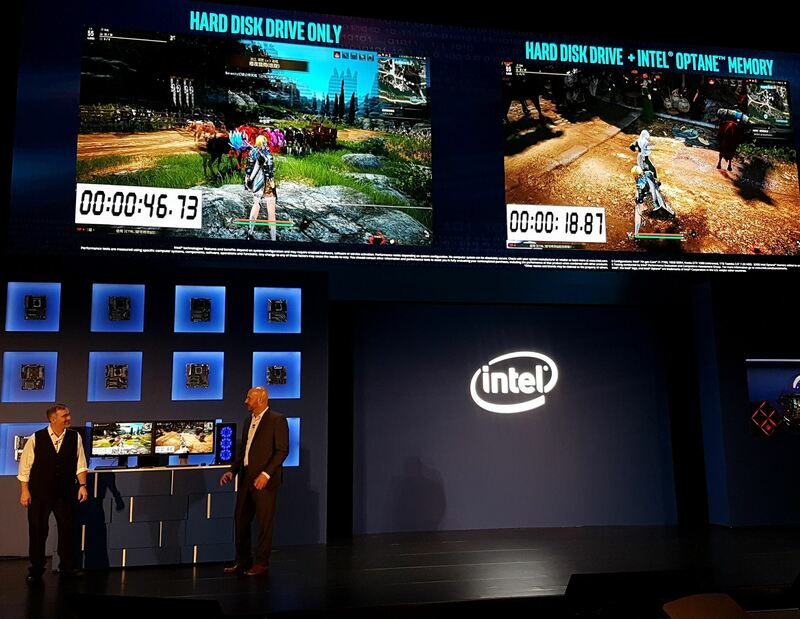 Intel also showed off their new Optane technology. 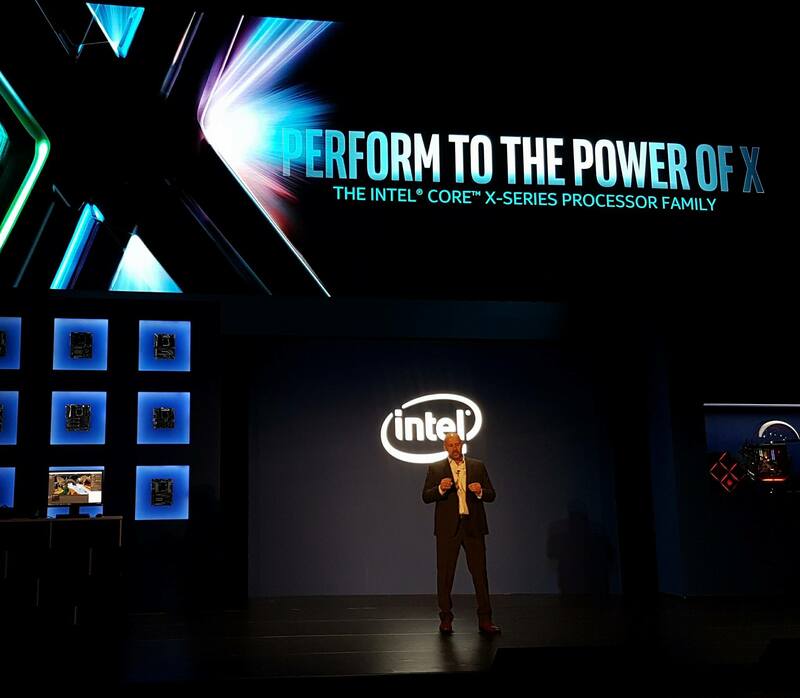 Intel officially announces the Intel Core-X Series Processor Family with up to 18 cores per CPU! 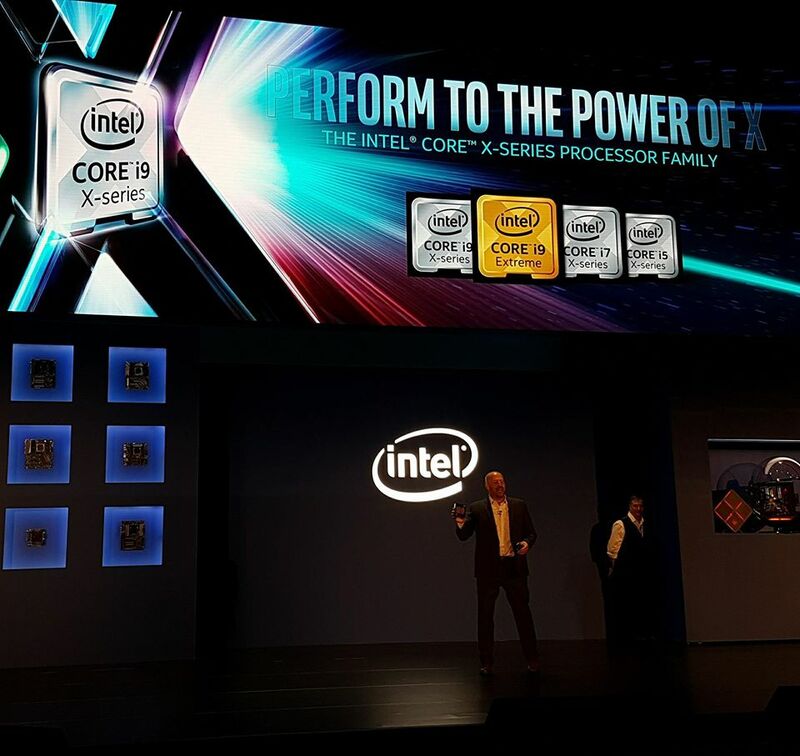 Intel also announced the Intel Core i9 processors, with X-Series and Extreme editions.